Vilmart & Cie Grand Cellier Brut Premier Cru | 12.5% | ORGANIC | 70% Chardonnay 30% Pinot Noir | 10 months in barrel as a base wine | Raised with care every step of their way from Vilmart’s parcels Les Hautes Grèves and Les Basses Grèves in Rilly-la-Montagne, an equipoise defines this wine. Both mighty and angelic might sound a paradox but this combines a tour-de-force with a gentle calm that reveals we are in the presence of something beyond our understanding. Ethereal orchard fruit of apples and tangy tangerines, combine altogether into this creamy and leesy marvel that somehow despite barrel age never went through malolactic fermentation which is also why it has such a resplendent tension of acidity and fruit, sweet and sour, starch and salt, mineral and flex. It is rich like a baritone whose voice, like a reverberating bell, resonates and passes through you, trembles you, moves you –and then this suddenly relents to a floral fragrance of flavor with a lift like the surfacing memory of a fond forgotten joy. Alive in the glass and so in the mouth, it is a protean wonder always showing more than one facet and better than a cut stone because this coruscates without outside movement –it burns brightly on its very own. 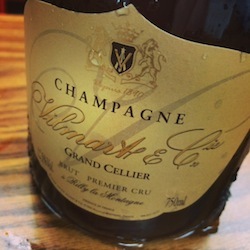 Vilmart’s Grand Cellier is currently 2010 base, with 2009 and 2008 vintages. “I’m coming to realize this cuvée needs three years on the cork to realize the ideal Laurent has for it. Until that time it is a mosaic of flavors, sometimes more unified than others. 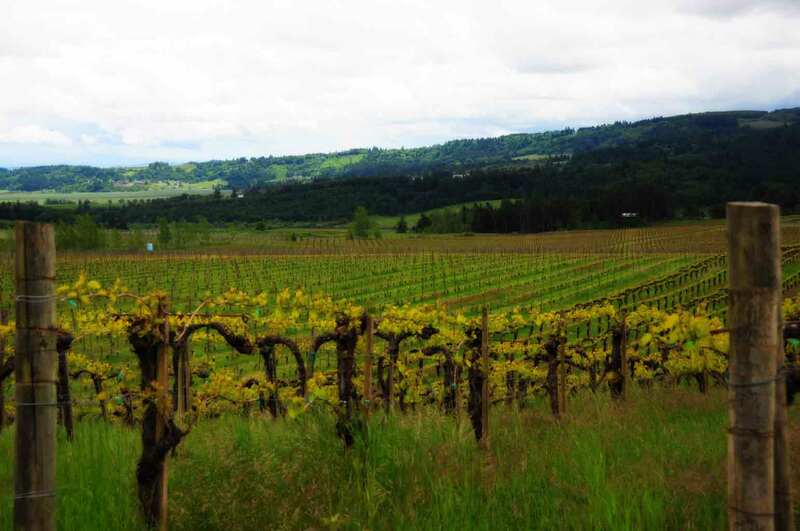 I tasted the current wine, which is creamy and fondue, and the upcoming wine, disgorged July 2012, available later this year. Grand Cellier is 70% Chardonnay and 30% Pinot Noir from 2 parcels in Rilly-la-Montagne – “Les Hautes Grèves” & “Les Basses Grèves”. Like all of Vilmart’s cuvees, this wine does not go through malolactic fermentation and spends time in oak. For the NV wines, oak aging is in large cask from 500-2000 liter. The current disgorgement spent about 18 months sur latte and was disgorged in November of 2012.